Here’s a piece of news to travel lovers —you do not have to leave your full-time job to pursue your innate wanderlust. Let’s face it, not everyone can afford to abandon their families and financial securities to chase their travel desires. Having said that, we want Singaporeans to know that they can still travel, even when working full-time. When it comes to travelling, full-time workers in Singapore will find that time is the number one issue they face. Yet, there is a significant group of savvy travellers who are still constantly travelling despite the dedication to their established careers. It is no secret—they have great time management skills, make no excuses and plan in advance! And so should you, especially with 9 long weekends in 2019. Before you complain about the impossibility of travelling due to your limited annual leave, read our 7 tips on how you can still travel with a full-time job. There are many cost factors to consider when you are planning for a holiday—be it accommodation, food or transport. 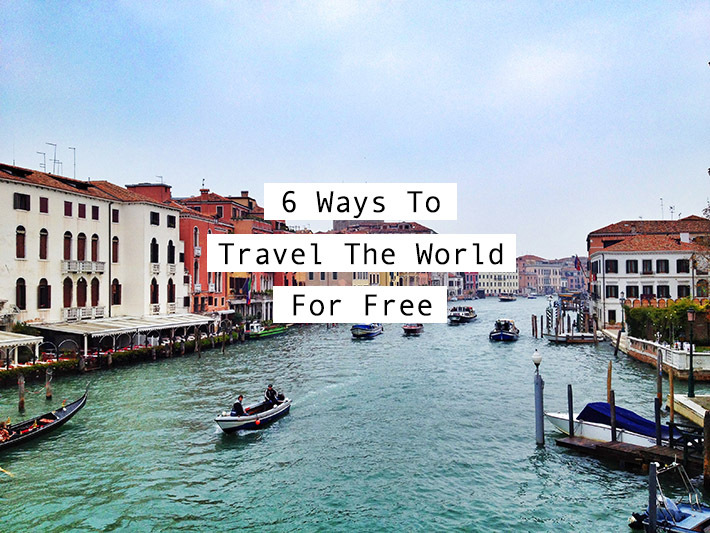 Sure, it is possible to compromise on comfort to save some money but what if we tell you that travelling the world for free or next to nothing is not just a dream? No, we are not kidding. People have done it and so can you! Most travellers succumb to checking in their belongings and as a result, they lose a significant amount of precious time waiting at the luggage carousel and are unable to take public buses or trains with their bulky baggage. It is honestly hard to convince people to ditch the idea of check-in baggage but trust us, the privileges on travelling without check-in bags are awesome. From saving money on budget carriers to the ease of changing flight itineraries, here are 7 Practical Reasons On Why You Should Not Check In Your Luggage the next time you go on a relatively short trip under 10 days. You will feel beyond liberated with less on your hand and you will never want to check in your baggage again after understanding its perks. The biggest setback most travellers face is usually finance related. But did you know that there are many ways you can cut back on the seemingly hefty amount? All you need is to channel a little more energy and you will be surprised by how the amount of money you can save! From buying unwanted tickets at heavily discounted prices to getting free accommodation, travelling is now made so much more affordable than before. We want to share with you useful travel tips on how you can still board the plane to your dream city. So without further ado, here are 7 Useful Travel Costs Reduction Tips That You Probably Did Not Know About! Here’s a piece of news to travel lovers – you do not have to leave your full-time job to pursue your innate wanderlust. Let’s face it, not everyone can afford to abandon their families and financial securities to chase their travel desires. Having said that, we want Singaporeans to know that they can still travel, even when working full-time. When it comes to travelling, full-time workers in Singapore will find that time is the number one issue they face. Yet, there is a significant group of savvy travellers who are still constantly traveling despite the dedication to their established careers. It is no secret – they have great time management skills, make no excuses and plan in advance! Before you complain about the impossibility of traveling due to your limited annual leave, read our 7 Tips on How You Can Still Travel With A Full-Time Job. Travel Made Different has really made our travels different. Are you tired of skimming through lengthy online travel reviews to pick out the best recommendations there are to check out? Do you find yourself scrolling through Instagram and/or Pinterest to gain inspiration for your next vacation? With the launch of NTUC Income’s new online platform, Travel Made Different, travellers can now plan their upcoming holidays in Pinterest style and export their visual itineraries to their smartphones. These days, travellers are no longer satisfied with mundane touristy activities. Instead, they are looking for local experiences and hidden gems during their travels. More than these, planning the itinerary is part of the fun of the holiday itself. And that is why Travel Made Different embraces this trend, and should be everyone’s go-to platform when we plan our itineraries.